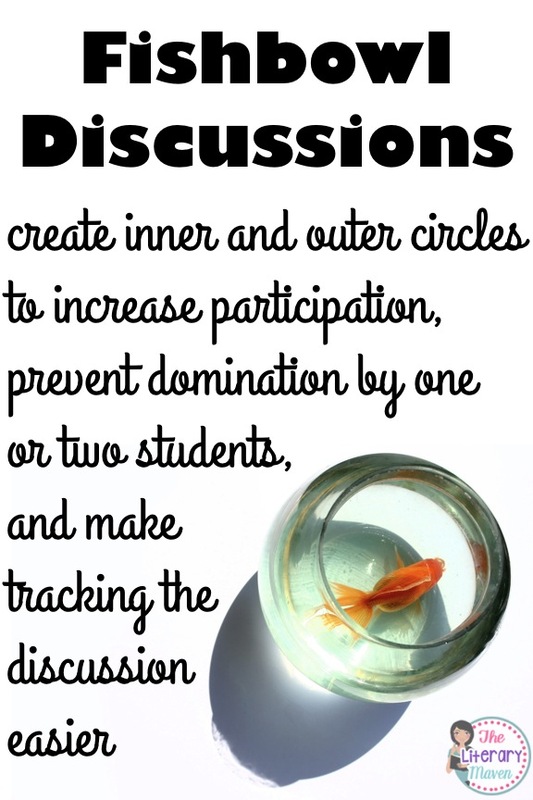 For years I shied away from holding whole class discussions. Looking back, I'm not really sure why. Was I worried about releasing control of the classroom? Did I think my students wouldn't be able to sustain the dialogue? Whatever the reason, it just wasn't something I did in my classroom. Sure we discussed texts, but I posed all of the questions and called on students to respond. 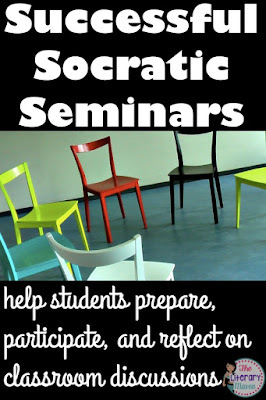 When I started a long term substitute position last year, my co-teacher shared with me that students had particularly enjoyed a socratic seminar held earlier in the year and were hoping to have another. 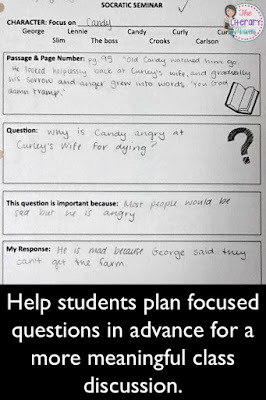 We planned to hold one at the end of our unit on Of Mice and Men. As our unit drew to a close, we began to prepare for our classroom discussion. We wanted the discussion to be student led so we knew having students prepare meaningful questions ahead of time would be key to having a successful discussion. I created a simple graphic organizer to help students generate questions focusing on characters and literary elements from the novel. We gave students time in class the day before the discussion to begin working on their questions and allowed them to finish them for homework. and prevent one or two students dominating the whole discussion time. This format also makes it easier to track the conversation because there are less students involved at one time. You can also include an empty "hot seat" that someone from the outside circle can jump into if he/she really wants to join the conversation. Make sure seats are arranged in a circle so that all students can see and hear each other equally. I made the mistake of leaving my desks in a rectangular shape and students at the ends couldn't hear each other. Before the discussion began I discussed with students what they could do if someone asked "their" question. I also projected prompting questions on the board during the discussion to help keep the conversation going. You may want to review student names before beginning discussion, especially if its the beginning of the year. 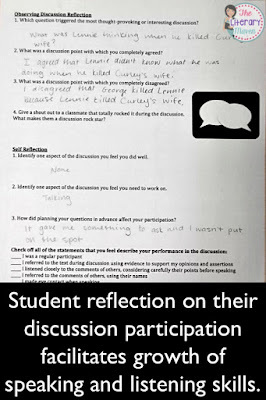 This will help with making sure students direct questions and responses toward each other and allow them to encourage silent students to participate. I also set an expectation of students asking at least one of the two questions they prepared and making at least three comments in response to other students' questions. This expectation was to strongly encourage my quieter students to participate. My class sizes ranged from 20-30 students with 10-15 in the inner circle at a time, and each circle had 15 minutes of talk time. Depending on your class size and length, you may want to set different expectations. However, I find that it is definitely more helpful to set a specific expectation rather than just generally telling students they must participate. To get the conversation going, I asked for a volunteer to ask the opening question. For students who are nervous about participation, this is also a great chance to get "their" question asked and out of the way. Then I set the timer and sat back and listened. It is definitely tempting to jump in when conversation lags, but I managed to keep quiet until the two minutes warning, which is a final chance for any students who haven't participated yet to do so. While the inside circle was holding their discussion, the students in the outside were responsible for tracking the discussion. This ensured that students were quiet, engaged, and actively listening to their peers. Before the discussion began, I gave examples of the types of comments students should be tracking; saying "I agree" without any explanation doesn't cut it. 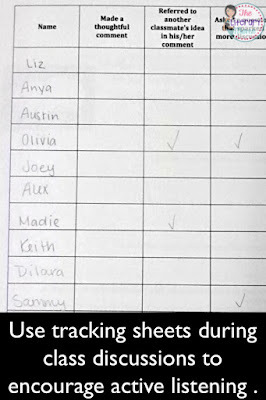 Having students track their peers helps me as the teacher. Even though using a fishbowl format cuts the number of students participating at one time in half, having extra ears means I don't have to worry about catching every single thing said. After each round of discussion ended, the students in the inner circle reflected on their performance as a participant, a reflection that included both questions and a checklist of speaking and listening skills. If you do several discussions over the year, have students compare their participation and confidence in speaking. The students in the outer circle reflected on the conversation as a whole, which was another way to ensure active listening. They commented on points they agreed and disagreed with and noted students they felt gave a star performance. If students struggle during your first classroom discussion, don't give up. More frequent practice will help build their confidence. Starting with online discussions using a tool like TodaysMeet can also make students more comfortable and incorporate the silent voices. If you want to further extend your class discussion, you could choose the best questions as future writing prompts or as short essay questions on an exam for the novel or unit. You can find the resources I used to help students prepare, track, and reflect on our class discussion here. 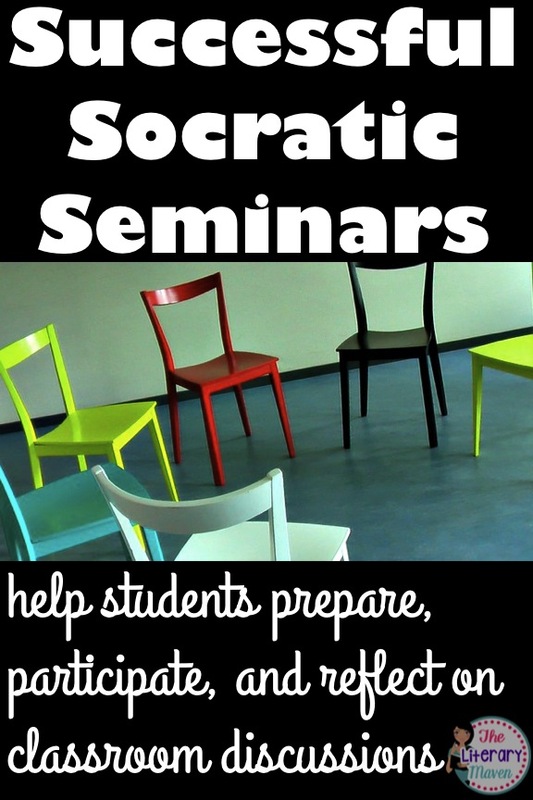 Leave your tips and tricks for running a successful socratic seminar or other type of classroom discussion in the comments below. Do you have a video of this in action? I don't understand some things. I don't have a video, but would be happy to chat about your questions via email. Send me a message at brynnallisontheliterarymaven@gmail.com.